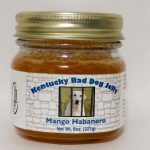 We have partnered with two of our local favorites – Kentucky Bad Dog Jelly and Always Maple. 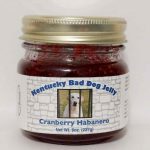 You can now purchase these delicious products on the Browning’s Country Ham website. If you like Kentucky Bourbon and Maple Syrup, you have got to try this! Pair our center cut country ham slices and Kentucky Bourbon Infused Maple Syrup for a simple yet indulgent gift for the holidays this season. 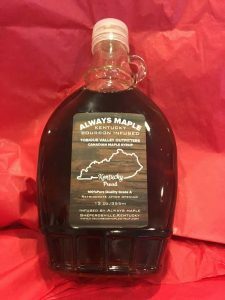 Try Always Maple’s Grade A Kentucky Bourbon Infused Canadian Maple Syrup on pancakes or as a glaze with Browning’s Country Ham. 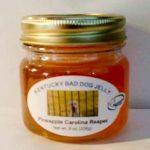 These pepper jellies are so good and go with just about anything – Country Ham, BBQ, puff pastries and cheese balls. 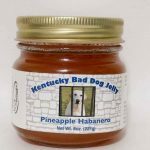 Order some Buttermilk Biscuits, Biscuit Cut Ham Slices, and a Pineapple Habanero Jelly and send it to someone special for the holidays or for any occasion. 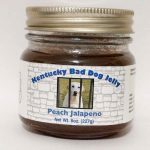 Whatever you do, check out Kentucky Bad Dog Jelly’s Facebook page for some amazing pepper jelly recipe ideas. You will not regret it! Browning’s Country Ham ships anywhere in the US and you can still receive your orders in time for the holidays if you order by December 19th.